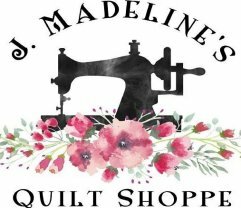 Catch a good deal at J. Madeline's Quilt Shoppe tomorrow and Tuesday! Did you hear that Tanked, the hit Animal Planet TV show, will be filming at Piano Works Mall tomorrow and Tuesday, April 16-17th? The big reveal of the fully functional piano fish tank is set for 3:00 pm on April 16. See The Piano Works website for more details. J. Madeline's Quilt Shoppe will be open special hours Monday, April 16 from 10am to 6pm. Be sure to stop in to see the tank and our newest fabric selections including precut batiks and tropical prints! Mention this ad and receive 10% off all batiks & tropical prints* on Monday and Tuesday this week.